Success Weight Loss Systems Introduces Xeomin! Statement represents the experience and opinion of the individual shown here. Individual has been compensated. Individual results may vary. Success Weightloss Systems has expanded our services to help you to lose weight, feel great, and help the years evaporate. You’ve lost the inches, and you’ve lost the pounds! Now, you want to eliminate or reduce frown lines, crows feet, and those bothersome 11’s that are keeping you from looking as young as you feel! We get it, we want you to love how you look, and we want you to have the best! As such, we have expanded our services with the addition of a highly trained medical provider that has completed specialized facial esthetic courses utilizing innovative non-surgical injectable techniques. He’s an A.A.F.E. certified CFNP licensed to practice medicine in the State of New Mexico. Obviously,we want to ensure your safety, but we also want to ensure your savings. So each month we’ll be offering Xeomin Botulinum injections at just $9 per unit. While this may be one of the lowest prices offered in New Mexico for Botulinum injections, we have our reasons. Typically, Botulinum injections are offered at around $12 per unit, and many believe they are worth every penny at that price. However, we think that our lower pricing and higher savings will allow us to administer the actual dosing you need for the best possible outcome, without taking too much of your income! Call 505-888-0797 to learn about our special dates featuring these special prices! You’ll be saving 25% or more without minimums, costly memberships or long-term commitments. These low prices Botulinum specials of just $9 per unit will be in high demand. So we recommend reserving your spot today! Call 505-888-0797. Xeomin® is a cosmetic injectable FDA-approved to diminish fine lines and wrinkles along with more pronounced worry and frown lines to leave the skin smooth and fresh looking. Xeomin® is purified to remove proteins to leave a virtually pure neurotoxin injected into muscles. Its original purpose was to treat muscles spasms in the neck and other areas of the body. Better than Bo, we think so! Better than Bo, We think so! Some people say their wrinkle-fighting neuromodulators (specifically Botox and Dysport) “stop working” over time, but is this really the case? Here’s what one expert has to say. New York dermatologist Julie Russak, MD, some patients have said their neuromodulators, which work to temporarily paralyze the muscles that contract and cause wrinkles, have “stopped working” over time. “Your body can develop antibodies to a specific product, so your immune system resists it,” she says. “A few brands like Botox and Dysport contain a carrier or accessory protein in their product that can be viewed in some patient’s bodies as foreign invaders. In this instances, the patients can develop additional antibodies to these proteins that can create diminished results. If this happens, we can switch them to Xeomin. Xeomin offers a more refined product utilizing a highly evolved manufacturing process. In essence, Xeomin offers the critical molecules we need for the procedure, and removes the accessory protein that many think creates the diminished results. When injected into the targeted area, a primary ingredient in Xeomin®, botulinum toxin A, triggers nerve endings in the muscles to temporarily prevent muscle fibers from contracting. Xeomin® is an excellent option for those in good health, with no history of neuromuscular diseases or those who are not pregnant or nursing. Xeomin® is also not recommended for those with deep facial scars, thick facial skin, drooping eyelids or weak facial muscles. To prepare for Xeomin® injections, it is recommended to patients that they stop taking any non-steroidal anti-inflammatory medications like Advil or Aleve as well as aspirin and vitamins and supplements that increase bleeding or bruising about two weeks prior to injections. The procedure of Xeomin® is administered the same way as other neurotoxins. The procedure takes about 15 minutes, and patients can return to regular activities after injections with the exception of exercise for 2 – 4 hours post procedure. There is no recovery period from Xeomin®, so patients are able to return to normal activities immediately following appointments. As for any side effects, there may be some slight redness and swelling at the injection sites which disappears within a day or two. The results begin to appear within about five days and are fully visible in about two weeks; additionally, they last about three to four months. 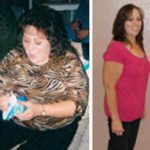 I have been on numerous weight loss missions, but I could never get past the 220 mark; until I tried Success Weightloss Systems. They helped me get all the way down to 165 and they did it inside of two programs. I had a goal, at my 50th Birthday party I wanted to hear one thing; “your Fifty, you look fabulous”. Well, I heard that all night long! Thanks Success Weight loss Systems, your services, support, and program made all the difference. If you want to lose weight, modify your eating habits, and have a wonderful experience; call them! I lost 29 lbs and 29.5 inches!!! I feel great! I cannot say enough about the support I received from the great folks at Success Weightloss Systems. I felt like I was very important! I miss them, my coach Irish even cried when I hit my goal, I think she was happier than I was. So far, I have kept the weight off with their free post diet program. I have already recommended Success Weightloss Systems to my friends and family. 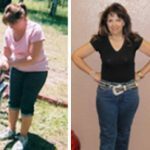 SWS was the “jump-start” I needed to get motivated and reach my weight goal. I lost 12 pounds and 14 inches on the short program, while reaching my goal of 20 pounds lost in ten short weeks. 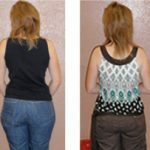 The rapid results obtained from the HCG combined with the nutritional coaching are unparalleled in weight loss strategies. I recommend you investigate this personalized program and get a weight loss “jump-start” too!